Expanding FCC connected health programs. FCC Chairman Ajit Pai in his keynote reinforced the agency’s interest and support of connected health initiatives, from rural to opioids. Most of the programs have a rural focus to bring broadband and telehealth/RPM to the ‘end of the line’ in underserved communities, something close to Mr. Pai’s heart as his parents were both rural physicians in Kansas.. This summer, the Connected Care Pilot Program was proposed and approved unanimously in August [TTA 9 Aug]. Funding for this is proposed at $100 million. The spending cap for the rural healthcare program, which has been around since 1997’s dial-up days and now includes telemedicine and remote monitoring, was increased for 2017-2018 from $400 million to $571 million, a 43 percent increase. The FCC has pledged to fully fund 2018 programs. Cancer care in partnership with the National Cancer Institute. The Launch program for rural and underserved communities aims to bring high-quality cancer care to where patients work and live through bringing together government, academia and community health providers. A status report on NIH’s All of Us. Back in January as part of setting the stage for 2018, this Editor briefly mentioned the National Institute of Health’s massive All of Us program, part of the Federal Precision Medicine Initiative (PMI). All of Us needs almost all of us–their goal is to collect data on at least one million Americans for a major leap forward on data supporting population health. Dr. Dara Richardson-Heron, All of Us’ chief engagement officer, confirmed that over 100,000 participants have registered since the launch in May, with over 65,000 completing the full protocol. She mentioned that 75 percent of signups are from groups often underrepresented in modern medical research, with 50 percent from racial and ethnic minorities. The Mobihealthnews article ends on a ‘Debbie Downer’ note of doubting whether the program will reach enrollment goals, the cost will be justified, and whether the data will be kept private as promised. MIT’s social robots may be the future of emotional support for wellbeing. MIT associate professor Cynthia Breazeal heads up the Personal Robots Group and is working on how to integrate AI into emotional robots for pediatric patients at Boston Children’s Hospital. The robots serve as a go-between child life specialists and the patient. The initial results were positive, with higher verbal scores (as a measure of engagement) than with stuffed bears or digital avatars. Professor Breazeal wants to extend the technology to older adults for wellbeing and engagement. Running against the conventional wisdom, their research found that older adults were more open to technology than the children. Following MIT’s work are companies like Hasbro and Embodied. Mobihealthnews. [grow_thumb image=”http://telecareaware.com/wp-content/uploads/2017/12/Lasso.jpg” thumb_width=”120″ /]Partners HealthCare Pivot Labs announced before the Connected Health Conference. The 20-year-old Partners Connected Health Innovation is partnering (sic) with Pune, India-based Persistent Systems. Their joint project will create a center of excellence to develop patient-centered care delivery using digital tools. Release. TytoCare gains CE Mark. TytoCare, a remote monitoring telehealth/video consult platform which integrates peripherals for a virtual physical exam, announced it received CE Mark approval and will be rolling out in the EU. In August, they gained Health Canada approval. 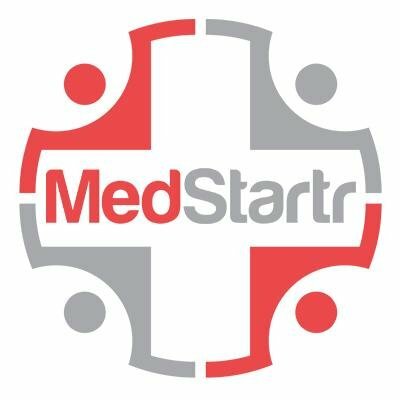 For our European readers heading to MEDICA 12-15 November, they will be exhibiting and speaking (link here). This Editor also noted that Jeff Cutler, their US chief revenue officer for the past three years, has moved on to be chief commercial officer for Ada Health, an AI-powered health navigation platform and symptom checker. The 24th ISfTeH International Conference will be 19-20 March 2019 in Lisbon, Portugal in conjunction with and hosted by the Portugal eHealth Summit. The International Society for Telemedicine & eHealth has extended its call for presentation proposals to 31 October–apply here. Multiple proposals are permitted. Submitters will be notified of acceptance 5-16 November. Also in Portugal, €50,000 in Smart Ageing Prizes awarded at AAL Forum in Bilbao. This award recognizes companies that develop solutions that address social isolation and loneliness among older adults and facilitate real world interactions to improve quality of life. The lead winner was KOMP, a one-button computer for family communication. Other winners were PlaceCal, a partnership of community organizations, charities, social housing providers, government services, health providers, and citizens, plus Refresh by How Do I? to aid those with memory loss. The annual award is a collaboration between the Active and Assistive Living (AAL) Programme based in Belgium and Nesta’s Challenge Prize Centre. Nesta website, Release (PDF). Hat tip to Dimitra Gkivalou of OPUS for the notification. [grow_thumb image=”http://telecareaware.com/wp-content/uploads/2018/10/CHC-logo.jpg” thumb_width=”150″ /]This week’s Connected Health Conference at Boston’s Seaport World Trade Center is themed around ‘Balancing Technology and the Human Element’, and over the three days of the conference the organizers will be tackling subjects such as social determinants of health, research, rapid prototyping of devices, and the very timely subject of the Apple Watch‘s ‘fall call lite’. This year day 1 on Wednesday 17 October is an ‘Immersion Day’ with separate registration (and separately priced) mini-conferences sponsored by The Society for Participatory Medicine, ECHAlliance, the VOICE Health Summit, and PCHAlliance’s ‘deep dives’ including one from Parks Associates. Days 2 and 3 on Thursday and Friday 18-19 October are fairly standard conference fare on a variety of stages and of course with a small exhibitor floor, ending after 3pm on Friday (and a good way to segue into a fall weekend in Boston). Connected Health Summit, 28-30 August next week, San Diego–Readers Save 20%! This Health Chat conducted by Roy Lilley of nhsmanagers.net promises to be eventful. “Has the tide turned in primary care? What effect might Babylon produce? Who are the beneficiaries? What is the future for the traditional primary care GP model?” Tickets are a modest £19.95 – £39.95 and are going quickly. Sponsored by UK HealthGateway, the publishers of nhsmanagers.net. Register here. Those of us who wondered what long-time CEO Jonathan Linkous of the American Telemedicine Association has moved on to now have their answer: CEO of PATH, the Partnership for Artificial Intelligence and Automation in Healthcare. Their first Summit will attempt to answer questions like: “Is artificial intelligence, automation, robotics and sensors the future of healthcare or a passing fad?” It will cover AI innovations, best practices, and barriers to beware (boo!) Find out more and register here, but this Editor’s advice (not that it will be taken) is to drop the silly home page quote from the buffoonish and irrelevant Mark Cuban. The second year of the combined PCHAlliance Connected Health Conference and the Partners Connected Health Symposium at the impressive Seaport World Trade Center kicks off with co-located conferences followed by two full days of events and expo. Preview it and register here. Counting down to the Connected Health Conference–readers save $100! The eighth annual Connected Health Conference, presented by the Personal Connected Health Alliance (PCHAlliance) in partnership with Partners Connected Health, is coming up in just a few days. Wednesday is packed with special sessions that cover the state of the market in wearables, artificial intelligence (AI), voice-activated technologies, the smart home (hosted by Parks Associates) and the innovation economy. The Life Sciences and MedTech Roundtable will explore the emerging category of digital therapeutics, the evolution of traditional pharma and med tech business models and the impact on relationships with patients, providers and other stakeholders in healthcare. A new fifth track focusing on health system innovation projects, outcomes and processes with the leading partnerships that are disrupting and redesigning healthcare delivery, including Healthbox and Intermountain Healthcare, Brigham Digital Innovation Hub, Johns Hopkins Medicine Technology Innovation Center and MITRE sharing their work with Dana-Farber. Wednesday the 25th has a full day of pre-conference specialized sessions here, such as the Society for Participatory Medicine and Parks Associates‘ workshop, with the full conference and open exhibit hall on Thursday and Friday. Continua has a running Plugfest for those involved with Continua standards on Thursday and Friday. Also on those days is CHC’s own Health Tech StandOut! Competition featuring a group of ten finalists, free for conference registrants and the Connected Health Innovation Challenge (CHIC) (information here). Another sign that mHealth is now in our rear view mirrors [TTA 24 July] is that one of the main conferences on the US and international conference calendar is changing its name. Since 2009, the mHealth Summit has closed the year. Its organizing groups have changed and it’s gone international to Europe (the recent summit in Riga). Now it has been renamed (though not on the website yet) the HIMSS Connected Health Conference-–an umbrella event comprising the mHealth Summit (including the Global mHealth Forum), and two new conferences: the Cyber Security Summit and Population Health Summit. The shift in the industry and new concerns are clearly reflected in this reorganization. Transitions were visible last year to this Editor in covering the sessions, speaking with exhibitors and attendees. It’s not about the tech anymore, but how it fits into care models, saves money/avoids costs, improves care, improves the experience–all population health metrics–and fits with other technology and analytics. (It’s also how it fits into government payment models, an endlessly changing equation.) What is surprising is the lifting of cybersecurity to equal status, given the Hackers’ Holiday that healthcare is now (see TTA here). (Also this Editor notes that last year’s Big Buzzwords, Big Data and Analytics, has faded into where it should be–into facilitating population health and we should expect, inform data security. We also note that HIMSS has stepped forward as the organizer. 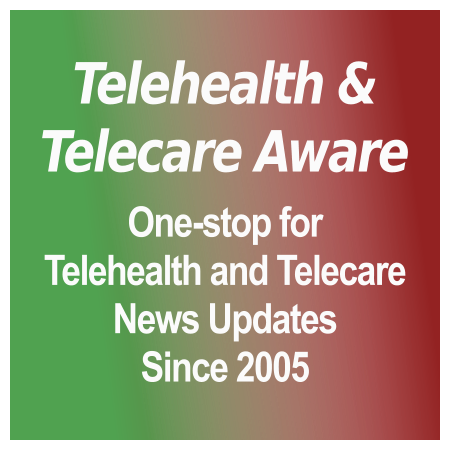 HIMSS release Telehealth & Telecare Aware has been a media partner of the mHealth Summit for most years since 2009.